speed or to access system-specific APIs, there is usually little need to do this. native threads. All of this will operate correctly with Java. 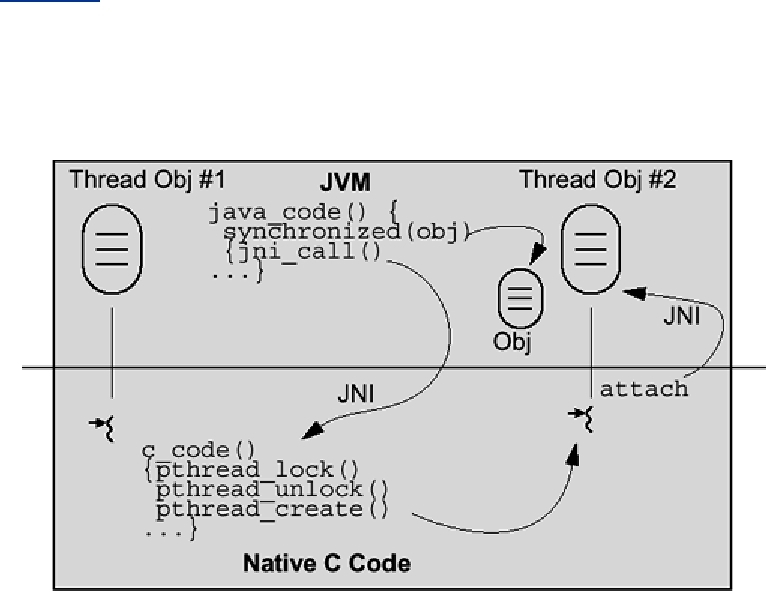 In Figure 10-1 you can see the basic Java threading design when using the native thread libraries. switching, locking, etc., are done by the native threads library, which is why things work together. Within native code all exceptions are synchronous, including those caused by stop(). than those for dealing with exceptions) until the exception has been dealt with.